Our favorite styles for curls that are shoulder length or shorter. Curly hair can simultaneously seem like a blessing and a curse. Sometimes we love our hair, and sometimes not so much. However, long curly hair and short curly hair are a completely different experience. That’s why this week’s post is dedicated to the short curly-haired gals. 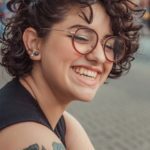 Whether you love rocking your short curls or are trying to grow them out, these 7 easy hairstyles will inspire you to rock your natural short locks and embrace your unique curl pattern. The half-up bun is easy, cute, and can be worn with almost anything. This look is casual enough to pull together at a moment’s notice yet versatile enough to amp up with hair accessories, like headbands or clips. Don’t discount it for nighttime either; this hairstyle really looks fabulous at a formal or special occasion. My love, my life, my space buns. How I love them so. This style is fresh and different and can be worn in a million and a half ways, which is why I mention them so often. The beautiful thing about curly hair is that our hair texture is unique in itself, and adds a spice to an already eye-catching style. The crown braid is the perfect look if you want to keep your hair out of your face but still let your curls hang down. You can do this look with French braids, fishtails, traditional braids, Dutch braids, or whatever your heart desires. 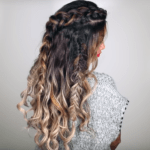 For an evenly distributed look, create a middle part and braid your hair along the crown on each part. The texture of your hair is already perfect for gripping hair, but, for added security, use a little gel, pomade, or product of your choice to keep your braids intact. One of my personal favorite looks is the topknot. Curly hair can be a lot to deal with, and on days you’re a little too tired for the maintenance, the best thing you can do is simply throw it up in a topknot and move forward with your day. Not to mention, it just looks super cute. 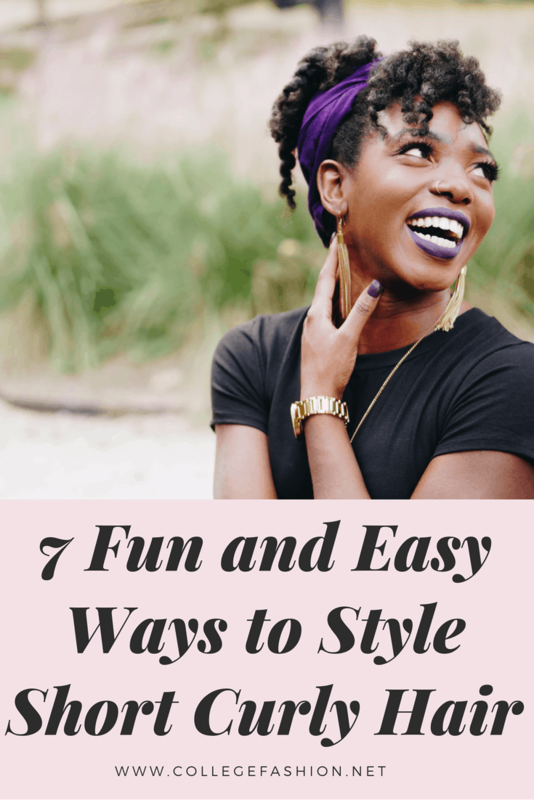 I personally love it when a little bit of my curly texture shows through, so I just throw all of my hair on my head, twist it to the perfect texture, and tie it with an elastic. This isn’t so much a style as an accessory suggestion, however, bobby pins are some of my favorite things to play with when it comes to my hair. It lets me control how much hair I want out of my face and where exactly I want to place it. 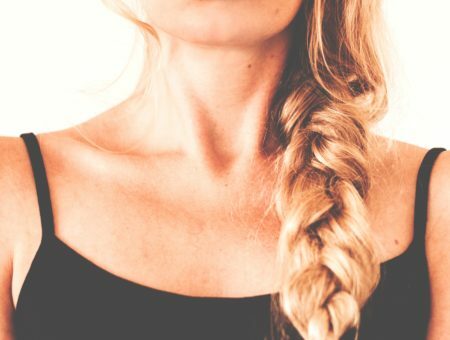 It’s the perfect alternative to elastics if you prefer to not tie your hair up all the time. If you’re looking for something a little edgy, then the side part is the look for you. Simply create a deep side part along your head. On the side with less hair, use bobby pins to pin your hair back and create a faux shaved side. For an even sleeker look, use gel or your product of choice to hold your hair down. Curls already give off the whole sweet girl vibe and this doubles when hair is short and even triples when it’s put into a half up ponytail. Why? I personally say it’s the bounce factor. The bouncy curls = a bouncy personality, and a half up boost doubles the bounce! I can’t quite complain about this stereotype. Everyone should have a little bounce in their life. Which of these hairstyles is your favorite? With any of these looks, embracing your natural curls should be as fun and easy as 1, 2, 3. Hopefully, these will inspire you all to love your curls and wear them how you please.